Positive Shelf Awareness ... proves that truth does not come from a mere recitation of facts, but from the messy byways of memory and other more unexpected sources ... partially about how the past haunts the present, especially if the root issues go unaddressed. The book is about Mexico, and Torreón, but its lessons are not limited to those localities. Herbert claims that \'this is not the story you were expecting,\' but in many ways it is achingly familiar. Rave Shelf Awareness Doubles as a family drama and offers potent critiques of the United States\' cold war policies in Africa. Wilkinson\'s narrative skips around in time, adding to the suspense while giving the reader complementary perspectives on her protagonist, Marie Mitchell ... crammed with ideas worth unpacking ... a complex and powerful work. Positive Shelf Awareness In many ways, Golden State is a reflection on contemporary preoccupations about fake news and alternative facts. ... recalls 1984 in its emphasis on surveillance, obsessive record-keeping and bureaucracy, although the sunshine and acres of marijuana fields make Winters\'s vision considerably more attractive ... Winters is an expert at combining social commentary with gripping mystery plots, and the novel never slows down enough to be accused of didacticism. With rich characters, frequent twists and tense set pieces, Winters always nails the hardboiled basics. And even as Ratesic\'s unquestioning faith in his society erodes, it remains a provocative and compelling alternative to the uncertainty that can seem to undergird modern life. Positive Shelf Awareness The novel pushes a relentless pace, with countless well-executed action scenes and an impressive body count ... Zero Sum Game\'s pleasures lie in the protagonist\'s repeated ability to extricate herself from seemingly impossible predicaments, whipping up math-based solutions to gunfights on the fly. In one memorable scene, Russell makes a number of small adjustments, one involving an umbrella, that allow her to eavesdrop on a distant conversation. How? It involves sound waves and, of course, math. In Cas Russell, Huang has created a protagonist with a distinctive hook. Rave Shelf Awareness Empress succeeds in its mission to impress upon the reader the remarkable character and achievements of Nur Jahan ... According to Lal, Nur has been unfairly blamed for the civil strife that accompanied the latter part of her rule with Jahangir and given little of the credit she deserves. Empress remedies these slanders and oversights while telling an engrossing tale of female power. Rave Shelf Awareness Malaparte\'s talents as a writer include his acid wit and an eye for detail. 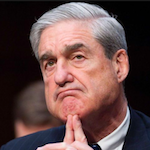 In his hands, the higher levels of Soviet society prove just as ridiculous and corrupt as the aristocratic societies of Europe. The tennis matches, affairs, scandals and society gossip that define court life in Europe are conducted in Moscow, however, in a pervasive atmosphere of fear ... Malaparte\'s sense of humor is pitiless, memorably referring to Lenin\'s embalmed corpse as a \'precious crustacean.\' Kremlin Ball is a terrifically funny and entertaining portrait of a seemingly powerful group of people dancing on the brink of destruction. Positive Shelf Awareness Blackfish City...establishes a dystopian world that stands apart in a crowded field ... Blackfish City distinguishes itself by a number of idiosyncratic touches ... In a dystopic future where climate change threatens human survival, a strange \'orcamancer\' might offer the only glimmer of hope for the inhabitants of the floating city of Qaanaaq. Positive Shelf Awareness He offers a survey of many centuries of scholarship on the subject, writing about the merits of certain explanations while rejecting others. 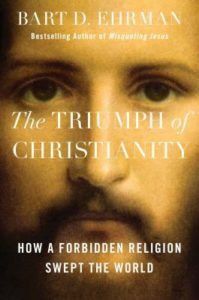 What emerges in his account is a measured, grounded, but no less astounding tale of a persecuted religion that swept the ancient world with shocking rapidity. Positive Shelf Awareness Berwald excels at depicting the wonder and appreciation she has gained for the strange, gelatinous creatures and the ocean that sustains them ... Jellyfish are fascinating in part because there's so much more to find out about them. 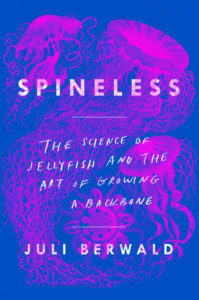 In Spineless, Berwald demonstrates that our oceans represent a scientific frontier at least as exciting and promising as space, and posits jellyfish as a prime candidate for study and appreciation. 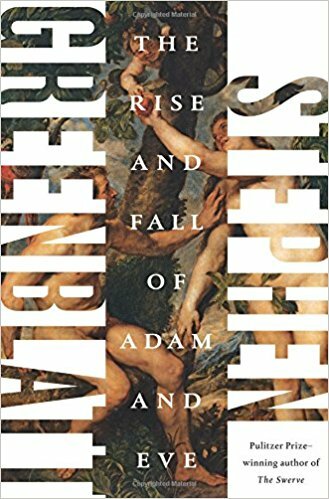 Rave Shelf Awareness In his new book, Greenblatt focuses on a much older work of literature: the story of Adam and Eve. Greenblatt is clear-eyed about the ways relatively recent scientific discoveries have for many displaced the long-dominant origin story, but he has 'come to understand that the term "lie" is a woefully inadequate description of either the motive or the content of these stories, even at their most fantastical' ... After establishing the origins of the Western world's most impactful origin story, Greenblatt examines the diverse ways the story has been interpreted over time ... Greenblatt excels at showing how a seemingly simple story could inspire ideas that were frequently at odds with each other, or even with their author's own purposes ... The Rise and Fall of Adam and Eve seeks to remind us why the story of Adam and Eve had such a powerful impact on Western culture, and even resurrects the story's value for present-day readers without the same theological inclinations.